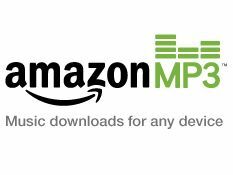 Songs downloaded from Amazon can be used with any portable music player. Amazon has launched its MP3 music download service in the UK, and it looks like it could pose the biggest threat to the dominance of Apple's iTunes Music Store thus far. The service was rolled out in the US in 2007, but it's taken more than a year for it to make its way across the Atlantic. The pricing is competitive - many individual songs are available for as little as £0.59 and albums start at £3. The latest records from Take That and Kings Of Leon are available at this price, for example, though you'll have to pay £6.49 for The Killers' Day & Age. However, this is still less than the £7.99 you'd pay on iTunes. Crucially, all of Amazon's MP3s are DRM-free, and they're encoded at a decent bit-rate, too (256kbit/s). There's content from all four major labels, plus several independents, and more than three million songs are already available.